Dr. Jennifer Luis completed her undergraduate degrees in Cell Biology/Genetics and in Secondary Education at the University of British Columbia. 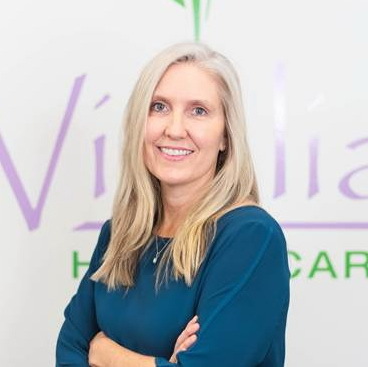 After teaching at an alternative secondary school in Vancouver for a number of years, she returned to school as a student herself and graduated as a Naturopathic Physician from the Boucher Institute of Naturopathic Medicine in British Columbia. She has continued learning with additional advanced training in thyroid and hormonal therapy, SIBO and digestive health, LDN therapy, paediatrics, acupuncture and more. Hashimoto’s thyroiditis, hypothyroidism and the complications associated these conditions such as adrenal dysfunction, digestive disturbances, hormone imbalances and weight gain make up the majority of Dr. Luis’ practice. As a patient with thyroid dysfunction herself, Dr. Luis recognizes the challenges of navigating treatment through conventional medicine and is passionate about helping others feel better with both alternative and traditional therapies. Dr. Luis uses a variety of methods to improve health such as supplementation, acupuncture, Bowen therapy, IV therapy and chelation. A strong emphasis on the use of laboratory testing helps her focus treatment specific to the individual health needs of her patients. Diet and nutrition guidelines are a part of each treatment plan and any deficiencies are addressed. Having 3 children herself, Dr. Luis has a good understanding of the challenges of incorporating healthy life choices into a busy lifestyle. Dr. Luis is licensed by and in good standing with the College of Naturopathic Physicians of BC and is a member of both the BC Naturopathic Association and the Canadian Association of Naturopathic Doctors. Dr. Luis also holds a license to prescribe pharmaceutical agents in BC.